My husband and I recently celebrated our 3rd anniversary, and I wanted to share the gift that he got me. It’s a simple throw pillow, but it holds a lot of meaning. Home means something different to every person. For Jamie and me it’s always meant a state of comfort. Our physical home may have only just been established this year, but we have always felt at home just being together. Our first dance at our wedding was to Duncan Sheik’s “Home.” One of the lyrics says “When I’m with you it feels like I’m home.” And it’s so true. While we are working on making our house a home, together we already are one. I recently came across this artwork on Etsy. I found it beyond appropriate for us. I’m adding it to my list of projects in hopes that someday soon I’ll make it. I believe a home doesn’t have to be 4 walls and a roof, it can simply be a feeling. 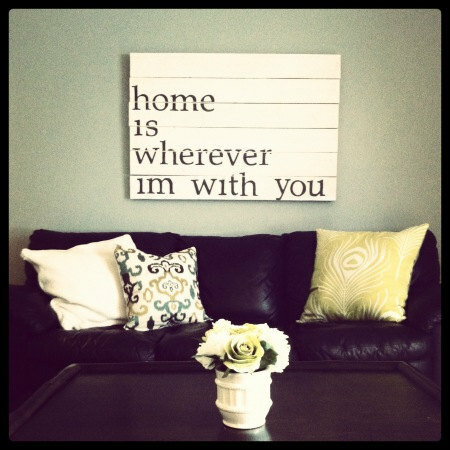 What does home mean for you? 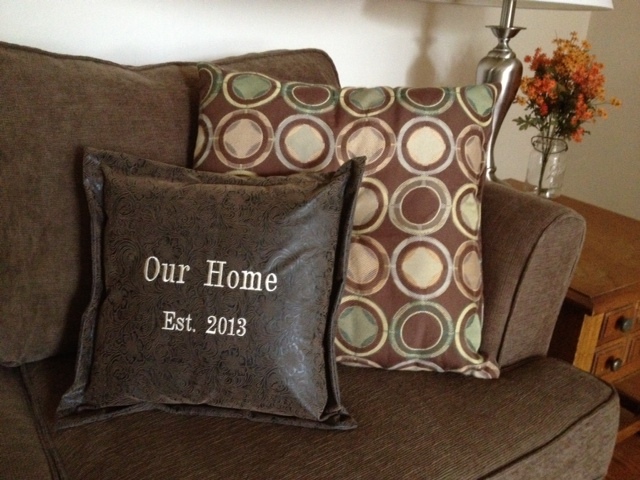 Categories: Home Decor, Home Life | Tags: anniversary, home, throw pillow | Permalink.